We have purchased vehicles from Ray Catena before, but this time was the easiest yet. Can’t believe we came home with the car the same day! Consistently great service. Jorge knows me and my cars and makes sure I get done what I *need* to get done and talks through what I *could* get done and the pro's and con's of those. BMW Service continues to provide a great experience. Joe Pulieo, in particular, kept in constant contact and showed great attention with my issues,Regarding my recent service, I would like to mention the above and beyond action by Jorge Ghiggia. His attention to detail and very accomodating demeanor was terrific. While we were talking about the service, I had a coughing attack. George calmly reached under his desk and offered up a bottle of water. That's what I call real customer service. The car was returned a very reasonable time and the car wash was unexpected, but appreciated. I brought a 2016 Jaguar F-Type S from Anthony and I had the best experience in buying the car he is ver knowledgeable and goes the extra mile not just an ordinary car sales person but is professional and very passionate on what he does. As a car enthusiast I will be going to him. I recently picked up my new Jaguar and the entire process was so great. Maegen was such a pleasure to work with, she made the whole process so easy. I am very happy with my decision to go there. Tom Cola is truly a gentleman, and very personable in our interaction for the new Smart ED we were interested in leasing. He answered all our questions, and provided a comfort level for us using such a niche car, as the Smart is. We would highly recommend him to anyone looking for first class service at Ray Catena Edison. My service advisor Rich did a very good job of listening to all of my concerns and addressed them before I picked up my car. All of my issues were fixed. Two weeks ago we stopped at Ray Catena Jaguar and Land Rover in Edison to browse. We really didn't intend on buying a vehicle that day. While we were browsing in the lot Dave Santos approached us and asked if he could be of assistance. He answered all of our questions and even though we told him we were only looking he didn't seem to mind at all that we were taking up a lot of his time. Never once during the time we spent with Dave did he make us feel like he had to make a sale. He was more interested in helping us get to know Land Rover's great products. We ended up buying a beautiful 2017 1st edition Discovery. I have to say it was the most pleasant and fastest experience we've ever had purchasing a vehicle. Ray Catena is fortunate to have such a great employee. I have been an Audi owner for almost 20 years dealing with several dealerships in New Jersey. Just purchased my 2019 A4 from Audi Toms River. This experience blew away all the others. From my salesperson, Teddy Pazik, the greetings from the receptionists, the sales manager, the service department and the entire team, this was an awesome experience. Everyone was patient, answered all my questions and gave me a great price for a great car. Teddy and Toms River Audi can count on my business going forward. Thank you. One of the best service center I ever seen. Clean and quick very helpful staff. Service was done in time and I was given all the time updates on the on going service. We purchased our panamera from Ray Catena in Toms River almost a year ago and today had our first service. They picked up our car, delivered a loaned, and returned the car the same day in a snowstorm! Awesome, and no charge for the initial service. Courteous, friendly, respectful and prompt...what more could you ask! The general assumption that shopping for a new vehicle can be frustrating does not apply when it comes to the Ray Catena organization. I do a good deal of research about a vehicle before entering a dealership and I must say that the deals that I've have arranged within the Ray Catena organization have always exceeded my expectations. Ray Catena Lexus of Monmouth is exceptional. Joe Marino, Alex Maslennikov and Chad Mieden all provided a level of assistance that was extraordinary. They all exhibited a standard of professionalism that should be commended. Do no hesitate to visit this dealership, you'll be very happy that you did. I found the salesman Stefano very knowledgeable and accommodating throughout the entire process.I would recomend the dealership as well.The auto is fantastic,getting many compliments. I will start by saying, the service at this place is wonderful. The waiting area is clean and comfortable and I enjoyed my coffee and sandwich (thank you!). The servicing happened within an hour and everyone was courteous. So why the 4 stars? That's because someone who worked on my car took $10 out of my armrest compartment. It's not a lot of money and I didn't expect to get it back but I feel it's important to make mention of this. I know the two $5 bills were there because I put them there before I got out of the car for servicing. I figured no one would open the armrest and didn't want my change lying around in plain sight. On a whim, I checked when I got back into the car and both bills were gone. I spoke to the the gentleman who I was working with and he apologized and offered me a $50 credit towards servicing which more than makes up for it, but that fact remains that someone working there steals. So beware. Would I recommend this place? Absolutely! Just don't leave any valuables in the car. All of partners are SOOoooo kind and friendly. So that's reason why I choose Lexus freehold. The Service Department was excellent. They were courteous, prompt, and professional. They even washed my car before returning it! Great dealer and awesome service! The best in Westchester county. Sales representatives are very attentive and the service people are very knowledgeable, transparent and knowledgeable. After many years of driving GM vehicles I decided to test the waters with a foreign car. I made an appointment with Lexus and met with sales person Richard Moskowitz at first glanced he resembled my uncle on my mother's side lol. He was such a dream to deal with he let's us know everything step by step. He made me feel at ease during the test drive I was quite nervous. I don't like driving a vehicle that doesn't belong to me. The staff very friendly, especially Nancy Sardos she asked me numerous times if I wanted any refreshments. I finally made up my mind and purchased the ES 350, it such a smooth ride, like budha! Thank You Mr Moskowitz for being so kind and patient with us, I even enjoyed listening to your stories and jokes. The sales and service departments should be a business model for all dealerships. The salesman, sales manager, and the service department are the gold standard in selling and servicing cars. Shavaune is professional and appreciates customers. Fabio backs up the sales department with class and salesmanship. The service department is staffed with experts that make sure your service is done to perfection. Frank and Alan are true professionals in the service department. Ray Catena is doing a fine job representing Lexus and backing up the sales with great service. 4/10/2019 Update: This was my second car buying experience with Michael and this dealership. Exceptional service yet again. Michael isn’t just trying to sell you any Lexus, he truly wants to find you the perfect fit and then help you buy that car. I love that during my test drive, he shared in my excitement over the car and that means a lot to me. I’m 23 now and feel that I’m taken seriously whereas other dealerships didn’t. And when shopping around in the pre-owned inventory, Ray Catena White Plains has the best deals the tri-state area. The service center is superb as well. Comfy waiting area, complimentary coffee and food, and the strip mall is walking distance. I recommend Alan Honig for service. I can’t express enough how great my car buying experiences are with Ray Catena White Plains. I highly recommend this dealership and salesperson!12/2018: Although this was my first car-buying experience, I can say that Michael Barone exceeded all my expectations. He listened to all of my wants and needs and really got to know me. I felt very relaxed throughout the meetings and he made me feel welcome and cared for. I went to Pepe Inifiniti around the same time and my experience was subpar. I felt like the Inifiniti consultant wasn't even trying to sell me a car and I was just turned off by the overall vibe. I know that getting a commission is important but I felt that Michael truly cared about me as a customer and not just my money. Even the Sales Manager Nick Manzi made it a point to stop by and show genuine interest in my car-buying experience. I would definitely recommend him to my friends and family! This was my second car buying experience with Michael and this dealership. Exceptional service yet again. Michael isn’t just trying to sell you any Lexus, he truly wants to find you the perfect fit and then help you get that car. I love that during my test drive, he shared in my excitement over the car and that means a lot to me. And when shopping around in the pre-owned inventory, Ray Catena White Plains has the best deals the tri-state area. The service center is superb as well. Comfy waiting area, complimentary coffee and food, and the strip mall is walking distance. I recommend Alan Honig for service. 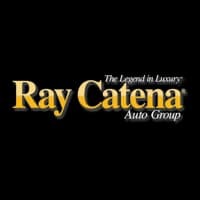 I can’t express enough how great my car buying experiences are with Ray Catena White Plains. I highly recommend this dealership and salesperson! My salesperson, Larry was a pleasure to deal with, he was extremely professional and knowledgeable. Having dealt with a lot of car dealers over the years this was one of the better buying experiences, there was no pressure no haggling over the price. Having worked in the car business I knew I was getting a good deal, I did not have to comparison shop elsewhere. Larry was a pleasure to work with. They gave me a great price for my trade in and on my new car. I would recommend Larry to anyone. I am not one to sit in car dealerships and negotiate simply because I am not an expert in the auto industry. I drove down to see the car I liked and worked with Larry electronically for a week or two while away on business and when I came back I was in and out of the dealership in less than an hour. All the paperwork was ready and all I had to do was sign and drive, just the way I like it. For 10 years my family and I have been doing business with Ray Catena. I couldn’t have been happier to finally buy a Benz this time around. Manish is an exceptional person who made everything easier for us. Seriously, this is the hospitality anyone needs when it comes to purchasing a vehicle. He made it so smooth and was extremely friendly and caring. Thank you for your service. You as well as the staff at Ray Catena are much appreciated. Tom Cola is a true professional and honest salesman. I would recommend Ray Catena MB and Tom Cola to anyone in the market for a Mercedes. Great service. Call for appointment. Afternoon best time. Even dropped by for an issue. Issue resolved!! Patrick Forman did a great job organizing a seamless transaction and took his time explaining everything at delivery. I live in the city and commute for work. I brought my Mini here for service and was very happy with my service. I felt that everything was explained in a meaningful way and that the work was done with care for my vehicle. I do wish that this dealer (and every other in the area) worked harder to notify you of delays with your vehicle. Finding out my car is going to be late because they’re doing a warranty repair or recall work AFTER I’ve arrived to pick it up isn’t really convenient. But this seems to be a NY area issue - not specific to this dealer. It is hard to imagine a better experience at any car dealer. This is my fourth MINI from MINI of Westchester. Patrick Forman is a great Motoring Advisor. I will never forget my first MINI when he picked me up at the local train station (in a MINI) and drove me to the dealership to take delivery. Patrick handled everything over the phone and via emails to make my experience the best and most efficient possible. He was very patient, knowledgeable and professional as he answered my many questions about the car, options and pricing by email (for all four MINIs!). I shopped at a number of dealers and the pricing was the best by far. Clinton Ma, the MINI Sales Manager, helped me to finalize the pricing and delivery on my latest MINI (pic below). Clinton has always been extremely helpful, and is clearly an expert source of information on MINIs and the car industry. I look forward to continuing to be a loyal customer. Another happy oil change and the usual inspection. Nice place to wait with coffee and bagels and wifi. With good advice too. Overall a great experience. A representative reached out to me regarding needed service. They accommodated my schedule and provided a loaner car. The staff was courteous and friendly and made the experience very easy! Great dealership... Everyone was welcoming. Had a great experience with Mark Levine, very easy to work with and helped us choose best vehicle for me, addressed all my questions, and gave a great deal. Ron Marvo is an extremely friendly,knowledgeable,helpful and no pressure salesman. All my questions were answered. Ron took extra time to make sure I understood how to operate all the bells and whistles that come with a new Audi. I just want to express my gratitude to Ron, Dmitri and Denis for an excellent experience. I know from experience that the Ray Catena Service Department is also 5 star. I don't know why anyone would go anywhere else to purchase an Audi. From the moment I walked in , the customer service I received was great. I was greeted by a young man named Carlos Valdovinos. He was both professional & knowledgeable beyond his years. I was truly impressed with the fact that he knew everything about the vehicle & it was obvious he loves his job. He was also extremely timely in addressing all calls & texts. Patrick Wildridge, also assisted in making the entire process from start to finish was a pleasant one. He was vey personable but more importantly, fair when helping to solidify the deal. After finishing up the paperwork with Annie I knew they all work as a team. She too was great & had positive things to say about the dealership ! 25 Sales and Service Locations. There’s a reason why Ray Catena family luxury car dealerships are known as “The Legend in Luxury®”. With 13 brands and 18 sales and service locations, Ray Catena dealerships deliver the finest luxury new and Certified Pre-Owned cars, SUVs, and commercial vans to those in the Edison, Bridgewater, Freehold, Westchester, Monmouth, Staten Island, and greater New York and New Jersey areas. Our dealerships are home to the most elite automotive manufacturers such as Audi, BMW, Mercedes-Benz, Lexus, Infiniti, Jaguar, Land Rover, Porsche, MINI, Maserati, Alfa Romeo, smart and Mercedes-Benz Sprinter Vans. Ray Catena Motor Car Corp. is the Ray Catena Auto Group’s flagship Mercedes-Benz Dealership located at 910 US-1 in Edison, New Jersey 08817. Ray Catena Mercedes-Benz is a family-owned and operated dealership, prioritizing the customer first and foremost since the very beginning, serving the greater Edison, East Brunswick, New Brunswick, Woodbridge, and Staten Island area drivers with one of the largest new and Certified Pre-Owned Mercedes-Benz inventories in the country. Ray Catena of Union, is the Ray Catena’s second Mercedes-Benz dealership located at 2585 US-22 in Union, New Jersey 07083, and is extremely dedicated to providing top customer service to our Short Hills, Westfield, Staten Island, and Newark area customers, providing over 500 new and Certified Pre-Owned, Mercedes- Benz vehicles in stock. Ray Catena of Freehold is the Ray Catena’s newest Mercedes-Benz dealership, located at 4380 Route 9 South in Freehold, NJ 07728, is your Monroe, Old Bridge, Colts Neck, Howell, and Morganville new and Certified Pre-Owned Mercedes-Benz dealership with a team of factory-trained and certified technicians to handle all your maintenance and repair needs. Ray Catena BMW of Westchester, located at 543 Tarrytown Rd in White Plains, NY 10607, is backed by 60 years of experience in putting the customer first and giving drivers in the White Plains, New Rochelle, and Westchester County areas a memorable experience when it’s time to buy the right new or Certified Pre-Owned BMW. Ray Catena Lexus of Larchmont, located at 1435 Boston Post Rd, Larchmont, New York 10538, is proud to offer luxurious options and exceptional service to drivers throughout the Larchmont, New Rochelle, and Yonkers areas, making every new and Certified Pre-Owned car buying experience fun, unique, and above all else, memorable. Ray Catena Lexus of Freehold, located at 4264 U.S. 9, Freehold, NJ 07728, is proud to provide an extensive selection of new and Certified Pre-Owned vehicles from among the largest Lexus inventories in New Jersey to those in the Manalapan, Marlboro, and Millstone areas, providing clients with extraordinary customer service that exceeds your highest expectations. Ray Catena Lexus of White Plains, located at 525 Tarrytown Rd in White Plains, New York 10607, is proud to serve our neighbors across White Plains, Hartsdale, and Scarsdale with the finest service and the most luxurious new and Certified Pre-Owned vehicles to ensure sure that our customers leave satisfied and with a vehicle they will truly love. Ray Catena Lexus of Monmouth, located at 2135 NJ-35 in Oakhurst, NJ 07755, provides our Toms River, Oakhurst, and Monmouth County drivers with a world-class ownership experience of excellent customer service and the best selection of luxury new and Certified Pre-Owned vehicles in a manner that exceeds any expectations. Ray Catena Maserati, located at 2133 NJ-35 in Oakhurst, New Jersey 07755, serves drivers from Edison, Freehold, and Colts Neck, always bringing style and performance to the table with our luxury new and Certified Pre-Owned Maserati lineup, all while providing the experience of top-notch customer service. Ray Catena Alfa Romeo, located at 2133 NJ-35 #1 in Oakhurst, NJ 07755, caters to the needs of each individual customer searching for that perfect Italian automobile. Located near the Jersey Shore, this Alfa Romeo dealership serves customer throughout NJ & NY. Ray Catena’s philosophy of premier customer service sets the benchmark for the highest quality and standards of each and every new and Pre-Owned Alfa Romeo vehicle that gets delivered, especially with our 2018 Motor Trend Car of the Year. Ray Catena Porsche, located at 920 U.S. Highway One in Edison, New Jersey 08817, provides opulent cars and indulgent service. Consistently being one of the top Porsche dealers by attracting clients from all over New Jersey, Staten Island, New York, Philadelphia, and beyond with our new and Certified Pre-Owned vehicles. With a vast array of sports cars, luxury sport sedans, and luxury SUVs, Ray Catena Porsche can surely satisfy that urge to get the Porsche of your dreams. Ray Catena Porsche Toms River, located at 325 Route 37 East in Toms River, New Jersey 08753, strives for excellence with each and every driver we proudly serve across from the Princeton, Cherry Hill, and Eatontown area when it’s time to find the right stylish and alluring new and Certified Pre-Owned Porsche. Formerly located in Atlantic City, our newest Porsche dealership attracts drivers with these highly engineered automobiles all the way from Philadelphia. Ray Catena Jaguar of Edison, located at 920 Route 1 in Edison, New Jersey 08817, has a wide selection of new and Certified Pre-Owned Jaguar vehicles to choose from. Serving the Staten Island, New Brunswick, Princeton and Woodbridge areas with a team of specialists w ho have the knowledge and expertise to assist you throughout your entire car buying experience. Ray Catena Jaguar Marlboro, located at 480 Route 9 in Marlboro, New Jersey 07726, is the Ray Catena Auto Group’s newest Jaguar dealership. With a brand new state of the art building, this expansive facility boasts a huge indoor showroom, drive-in service, customer lounge and more. Jaguar Marlboro looks forward to serving their local customers in the Freehold, Holmdel, Manalapan, Monroe areas and beyond! Ray Catena Land Rover Edison, located at 920 Route 1 in Edison, New Jersey 08817, is equipped with expert staff, renowned in and around the greater Newark, Elizabeth, Edison, and Staten Island areas, for their ability to listen to drivers’ needs and help them find the right services and/or new and Certifited Pre-Owned vehicle to suit their lifestyle. Start your adventure with a Land Rover from Ray Catena, call to schedule your test drive today! Ray Catena Land Rover Marlboro, located at 480 Route 9 in Marlboro, New Jersey 07726, is the Ray Catena Auto Group’s newest Land Rover dealership. Serving Land Rover customers in Holmdel, Morganville, Freehold and beyond. You’ll be sure to find the new or used Land Rover of your dreams at this brand new, beautiful location! Ray Catena Audi Toms River, located at 325 Route 37 East in Toms River, New Jersey 08753, serves Lakewood NJ, Point Pleasant, Tuckerton and Brick drivers, demonstrating its prowess and lavish comforts and relinquishing car buying and ownership stress with a quality pledge that extends beyond our new and Certified Pre-Owned vehicles and to all facets of our dealership services. Ray Catena Audi Freehold, located at 3561 U.S. 9 in Freehold, New Jersey 07728, works tirelessly to ensure our sales, service and repair processes are as efficient as possible so drivers from all over Freehold, Monroe, Marlboro, Jackson, Monmouth County, and beyond can spend less time waiting and more time behind the wheel of your new or Certified Pre-Owned vehicle. Ray Catena INFINITI of Edison, located at 900 US-1 in Edison, New Jersey 08817, serves the Woodbridge, Staten Island, and Old Bridge areas, whether you’re looking for something for the whole family to enjoy or something to spice up your daily commute, the experts in our sales, service, and parts department will be there to make sure that your new and Certified Pre-Owned vehicle will continue to run as smoothly as it does the day you get it. Ray Catena INFINITI of Bridgewater, located at 1350 US-22 in Bridgewater, New Jersey 08807, is a premier INFINITI retailer serving Hillsborough, Franklin Township and the surrounding NJ communities, providing superior service, maintenance, and new and Certified Pre-Owned vehicles to our customers, making your car buying experience effortless and enjoyable. Ray Catena MINI of Westchester, located at 543 Tarrytown Road in White Plains, New York 10607, is your premier MINI dealership near the Bronx, serving White Plains, Yonkers, and New Rochelle drivers with new and Certified Pre-Owned vehicles, expert advice, and unmatched MINI service and maintenance. Ray Catena MINI of Monmouth, located at 2127 NJ-35 in Oakhurst, NJ 07755, serves Long Branch, Eatontown, and Monmouth surrounding area drivers with the outstanding customer service and a great line of new and Certified Pre-Owned vehicles that the Ray Catena Auto Group reputation is known and respected for. Ray Catena’s Mercedes-Benz Edison and Union locations also provide drivers with additional options of commercial Sprinter vans, along with practical smart cars at our smart Center Edison facility.